I love studying God’s word. Most mornings you’ll find me at my desk with a piping hot cup of coffee opening my Bible and reveling in a few moments of quiet with my Savior. It has taken many years of experimenting to find the tools that I love most for studying God’s Word, but it’s been a fun journey. And the beautiful thing is that I’m still on this journey. You guys, we get to wake up every morning to a new day! Today is a new day, and we get to be a part of it! There are so many tools and resources at our disposal for helping us know God and make Him known. And even though there is very little we need by way of studying God’s Word, I don’t take for granted the opportunities we have to study God’s Word in the ways we learn best and with the tools we love most. 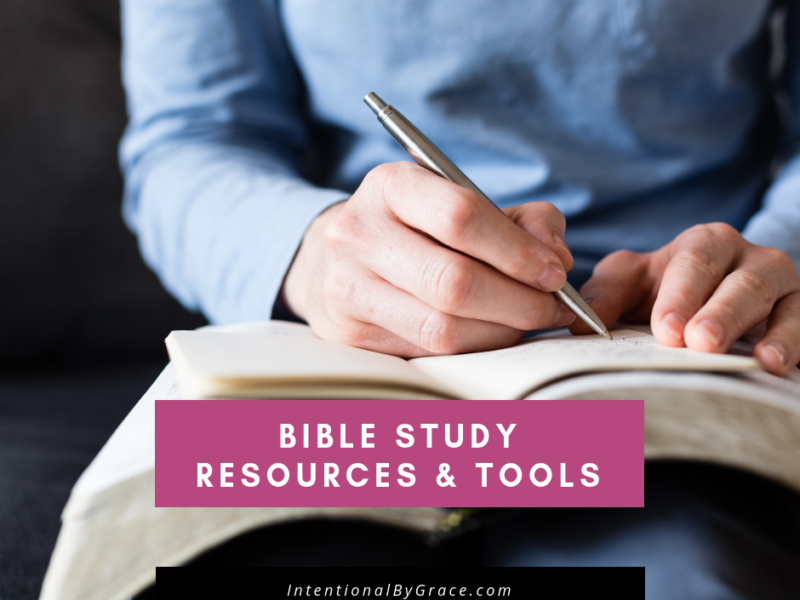 Today I want to share with you my favorite Bible study tools. These are the tools I use to dig into God’s Word on a daily basis. They are the way I learn best, and they are the tools I love most. My goal in sharing this post is to inspire you to go deeper in your walk with the Lord, encourage you to know Him for yourself, and simply to pass on some great resources that have helped me so that you can become the woman of God you were created to be. You were made to give life, and the best way to grow into this life-giving woman is to get into the Word of God and get to know the One who made you. Click the play button on the video below to watch the video of My Favorite Bible Study Tools, or scroll on down to read the list. If you can’t see the video, click here to view the video on YouTube. This is hands down my favorite Bible for studying God’s Word. It’s made for wrestling with the text. It’s made for marking up, scribbling questions, and recording what you learn as you go. It’s made to dig in deep and discover the treasure of God’s Word for yourself. It’s a true STUDY Bible. It’s not filled with a lot of distracting commentary. There are no devotional thoughts as you go along. It’s straight up focused on getting to KNOW God in His Word and UNDERSTANDING His Word through personal study time. I have used so many different journals throughout my years of journaling, and there was a day that I wasn’t picky about what sort of journal I used. Then, I bought my first Leuchtturm1917 Hardcover Medium Dotted Journal. It forever changed the way I journal. This journal is made for writing. It’s the perfect width and the perfect height. You aren’t constrained by lined pages, but you have a grid that keeps you writing in a straight line. The paper is just the right texture, and you can use any sort of pen, marker, colored pencil, and you will have the most wonderful experience. I’m totally in love and ruined forever because I cannot write in any other journal. I’ve tried. It’s just not the same. 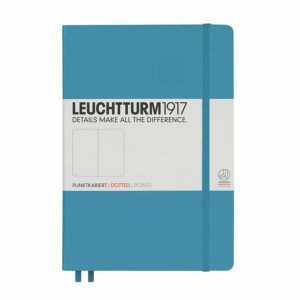 I’m head over heels for the Leuchtturm1917 Hardcover Medium Dotted Journal. I am a visual, creative learner. I need lots of images to get concepts to stick in my brain. This means I use keyword symbols during my study time. At first I was a little overwhelmed with keeping up with all the different symbols. But with time, and this handy download, it’s become a tool that I love having in my arsenal. I find that reading the text and marking keywords forces me to slow down and think about the text in a different way. Plus I read the text over and over and over again in order to mark up the words, which means I’m meditating more deeply on the Word rather than moving quickly through the text. There are a lot of great tools online for helping you study God’s Word. BibleGateway.com is my go-to resource because I can quickly put in a passage reference and then easily compare the text in different versions of the Bible. Reading Bible passages in different versions really helps mine out the meaning of the text without jumping straight to someone else’s interpretation. To be totally honest, being able to do this easily has significantly decreased my dependency on commentaries. I use BibleGateway.com on a near daily basis. Bonus: If I don’t feel like opening my computer, I’ll just look up the text in different versions using the YouVersion app on my iPhone. But I miss out on the side-by-side comparison when I do it this way. You might have picked up by now that I don’t really encourage the use of commentaries during your personal Bible study. I’m not saying they aren’t useful. Nor am I saying they don’t have their place. I’m simply in the camp that you need to wrestle first, then hear what someone else has to say about a text. 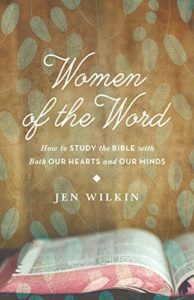 This was a paradigm shift for me after reading Jen Wilkin’s book, Women of the Word: How to Study the Bible with Both Our Hearts and Our Mind, so I realize this might be a little bit of a shock to the system for many of you. I spent years studying my Bible by reading the text, then immediately looking down to have the text explained in the notes. Sure, you’ll gain some insight this way, but I’m telling you, ladies, you’re missing out on a beautiful, rich opportunity if this is your go-to way of studying His Word. Studying God’s Word this way is like having a third wheel every time you go on a date with your man. You are on a date. You are having the best discussion, the conversation is flowing, you’re hearing your man and nodding along with him. He’s listening to you and sharing his insights on a topic. Then, your best friend clears her throat. The third wheel wants to speak, share what she thinks, and how she feels about the topic at hand. This isn’t bad per se, but it is an interruption to the intimacy you and your man were sharing. You didn’t finish your conversation before she butted in with her thoughts on the topic. This is what we do when we read God’s Word and immediately look at a commentary on the text. Related Reading: Are You Missing the Point of Your Quiet Time? With that said, this is where a good study guide comes into play. 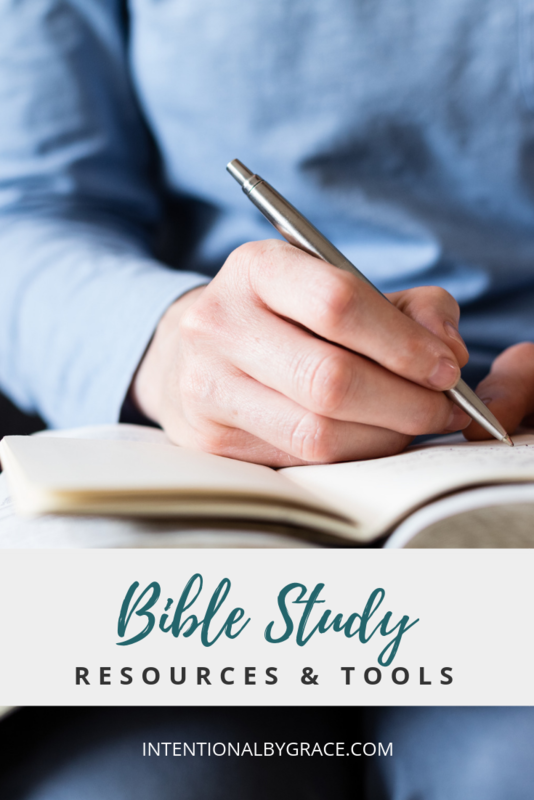 There are some great resources out there for studying through the books of the Bible, but the one I recommend the most is Kay Arthur’s New Inductive Study Series. She has a guide for every book of the Bible, and I thoroughly enjoy them. You can find them here. Bonus: They are inexpensive, and I have found the Kindle version to work really well for me (saves space on my limited bookshelf space). I have used Gospel of John: The God Who Cares and Knows You and Proverbs: God’s Answers for Today’s Problems. 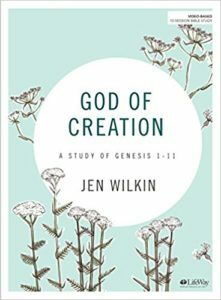 Jen Wilkin’s Studies – Many of her studies are totally free (you can find free ones here). But she’s also released a few others: God of Creation: A Study of Genesis 1-11, 1 Peter: A Living Hope in Christ, and The Sermon on the Mount. Also, if you haven’t read her book, Women of the Word, then drop everything and start there. It’s an invaluable resource. You can read my entire review of Women of the Word here. 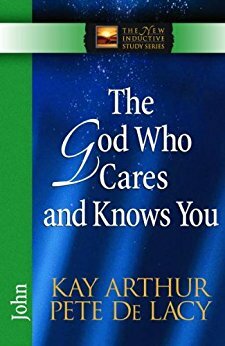 Elizabeth George’s, A Woman After God’s Own Heart Bible Study Series – Some people find Kay Arthur’s and Jen Wilkin’s methods a little overwhelming. I can understand that. 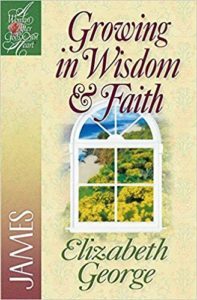 I’ve used this series from Elizabeth George to study various books of the Bible, and I really liked them. They are great for just getting started with studying God’s Word for yourself. She does insert a little more commentary that I personally prefer, but it doesn’t detract from the study. Studies I’ve done from this series: Proverbs 31: Discovering the Treasures of a Godly Woman, 1 Peter: Putting on a Gentle and Quiet Spirit, Character Study of Mary: Nurturing a Heart of Humility, and James: Growing in Wisdom and Faith. And bonus: Just like Kay Arthur’s studies, her studies are inexpensive and could be bought on Kindle to save space on your bookshelf. Finally, my Bible study arsenal wouldn’t be complete without colored pencils, an assortment of colored pens (these and these), highlighters, and my fine point black rolling ball pens. I’m really not all that fancy or particular when it comes to my writing utensils. As long as they are colorful, I’m good to go. What about you? 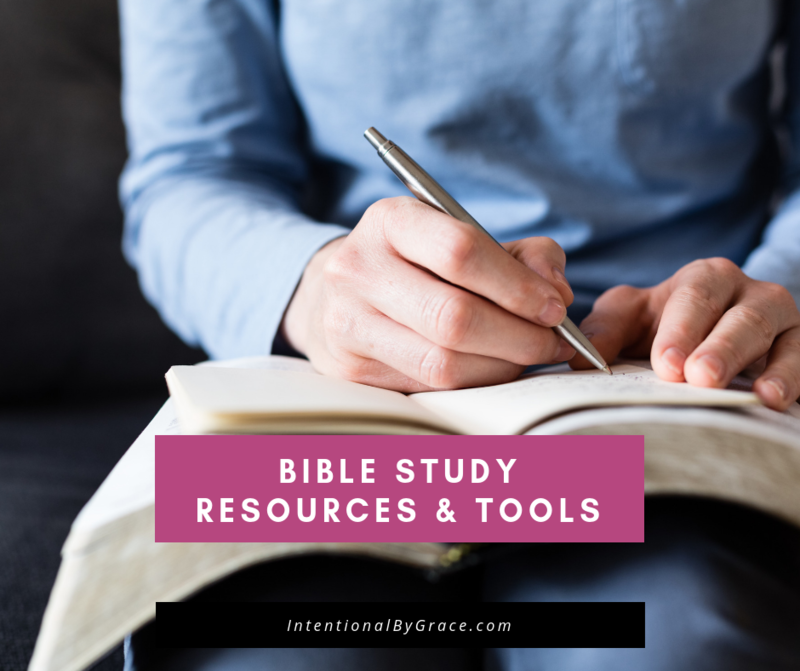 What are some of your favorite Bible study tools and resources? Tell us in the comments so we can build a great resource for other women to find Bible study tools and resources to help them grow in their walk with the Lord! Thank you for your resource list, I am a fan of several of your items too. I also use the same study Bible. One thing that I started with my last study, was to mark my key word in the Concordance in the back of the study Bible. It provides me a quick look to see how I’ve marked the word before to keep consistency with my markings. Oh, that’s a brilliant idea! Thanks for sharing that! I loved this Leigh Ann! Thank you so much for creating this resource for Bible study. I appreciate the walk through of the tools that you use to dig deeper into the Bible. I also like using the blueletterbible.org website. Thank you for taking the time to help others find new ways of drawing closer to the Lord through Bible study. It’s a blessing. I love all of the resources you mentioned but I would add a good Bible dictionary. The one I have is the Holman Illustrated Bible Dictionary. It’s very helpful for background information and helps with original contexts. A good Bible dictionary is on my list! Oops sorry. I guess I missed it. I mean “on my list to buy.” 🙂 Sorry!! Those are some great ideas! I’m a huge fan of Jen Wilkin too! An app I use from time to time is blue letter Bible. It has the entire Strong’s concordance in it so you can look directly at the words used in the original writings–which helps to mine out the meaning of the text. It gives a definition of the word as it was used in other parts of scripture and how it is translated in different parts. Also another brand new resource, for people like myself who thrive with accountability from others, is that BSF (Bible study fellowship) now offers online groups. Their method is similar to others mentioned–study the text, discuss with others via an online zoom meeting (at a time I chose), then listen to a teaching over the text and read a commentary. I so love the discussion time and accountability it provides to consistently be in the word. And that I can attend even if kids are sick since it is online. I’ve heard of Blue Letter Bible, but I’ve never checked it out. I will have to do that. I have a lot of friends who really enjoy BSF. I didn’t know they had it online now. That’s neat. Thanks for sharing this! It was very encouraging to me! 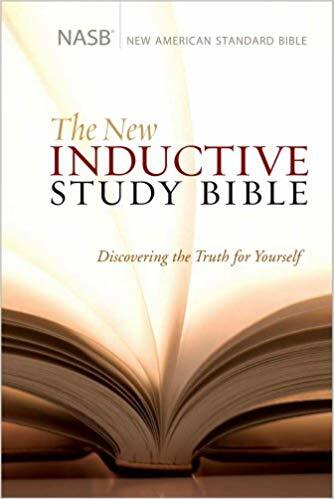 If I use one of Kay Arthur’s New Inductive Study Books, does it make a difference if I use an ESV Bible versus an NASB or other translation (in your opinion)? That’s a great question. I don’t think it would matter. I usually read the passage again in ESV and NIV during my study time to help me comprehend the text, and the keyword is most always in both. I think you should be fine. Thank you for the shout out! I love that you write your own symbols on the sheets. I make them with plenty of space for that very reason. I am continually adding new symbols. If you send me a list of key words from Proverbs, I will create a sheet just for Proverbs. Many blessings, sister. Wonderful! I’ve really enjoyed your resources. Thanks for all you do!